I haven’t eaten a sausage roll in years. Aside from being a vegetarian for the past few years, I always prefered other options. 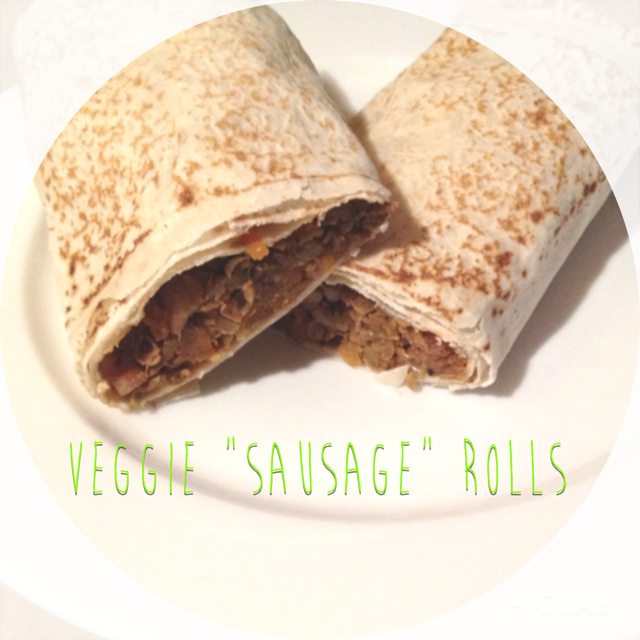 However I’ve come across several decent recipes for vegetarian “sausage” rolls, so I adapted and merged the ones I like best and came up with some clean eating, easy and delicious veggie rolls! Combine all the ingredients apart from the wraps. Make sure the mixture is really well combined. I like to use a potato masher and squash the lentils a bit. Cover a baking tray with paper. Lay out two wraps on top of each other. In the middle of the wrap place 1/4 of the mixture and roll it up. Continue with the remaining wraps. Lightly cover the tops in olive oil. Bake in the pre-heated oven for 20 minutes! See? Super easy AND delicious! This entry was posted in Clean Eating, Recipes and tagged clean, clean eating, delicious, food, health, healthy, healthy-living, lentils, mountain bread, vege, vegetarian, veggie. Bookmark the permalink.